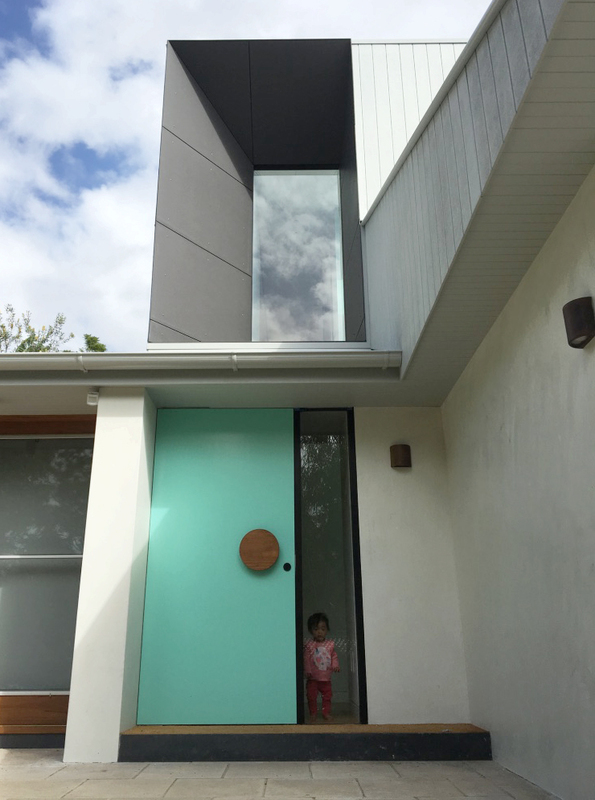 A contemporary addition and renovation to a single storey home to accomodate a growing family. 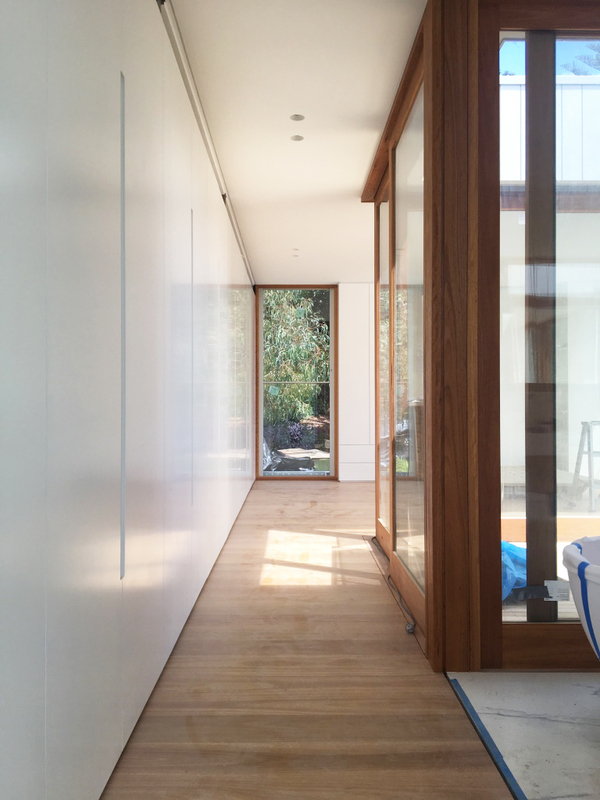 The openings on the new upper level frame the surrounding bush and the existing garden. 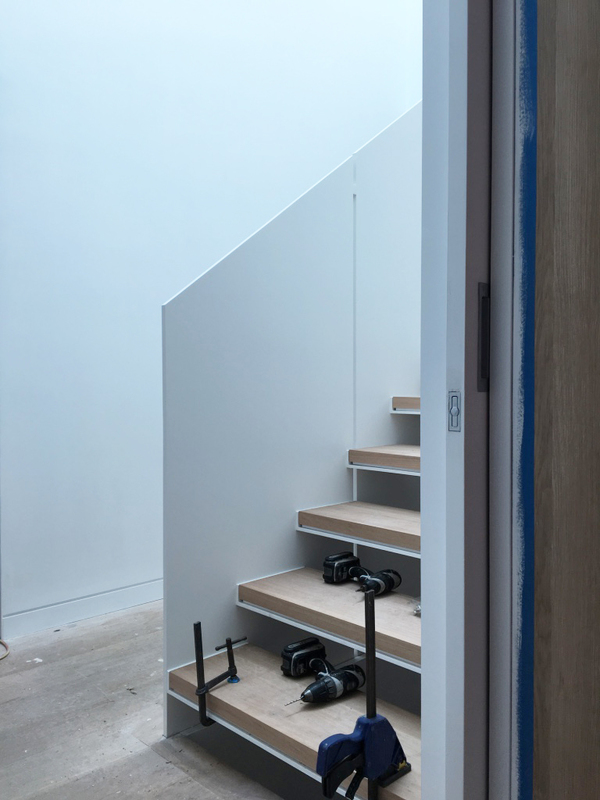 The soft colour palette along with the accents of dark tones and the timber framed doors allow the house to sit comfortably in the bush surrounds. 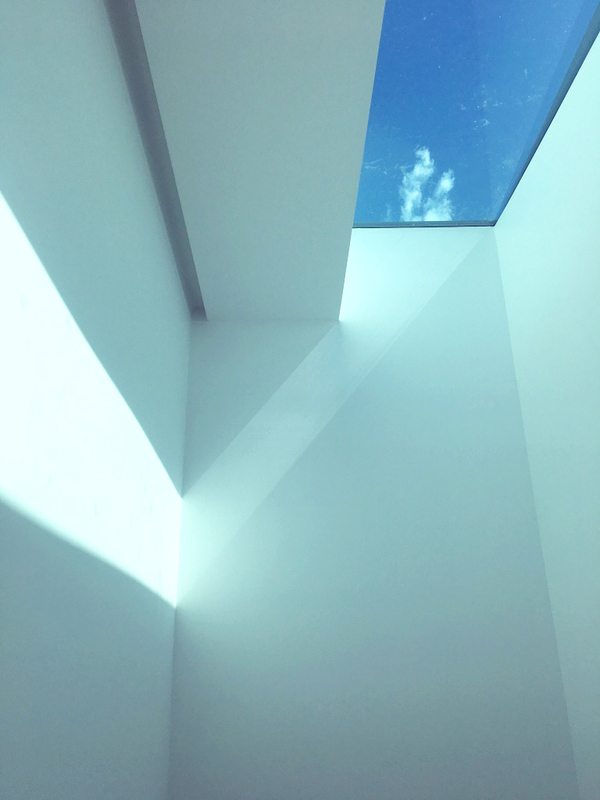 A skylight in the new stair void allows light to filter through the 3 levels of circulation within the core of the house.